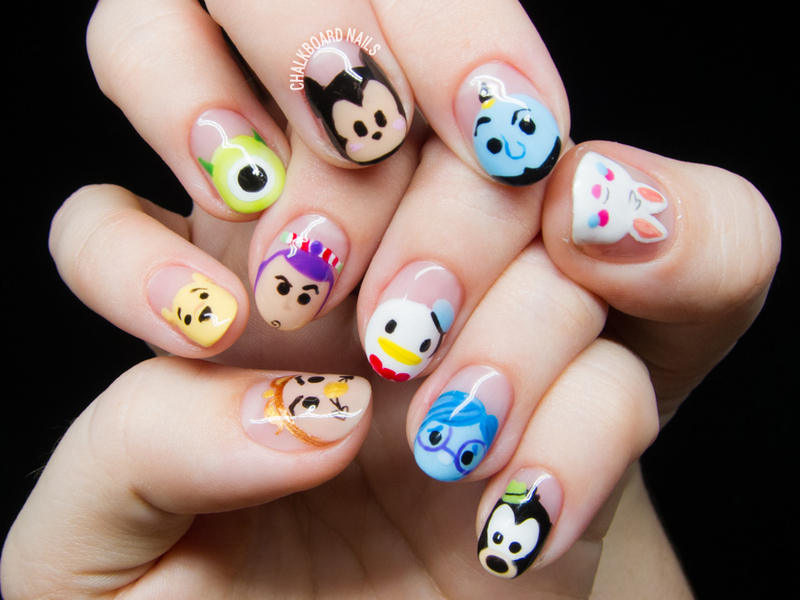 On my left hand, we have Cogsworth, Buzz Lightyear, Donald, Sadness, and Goofy. 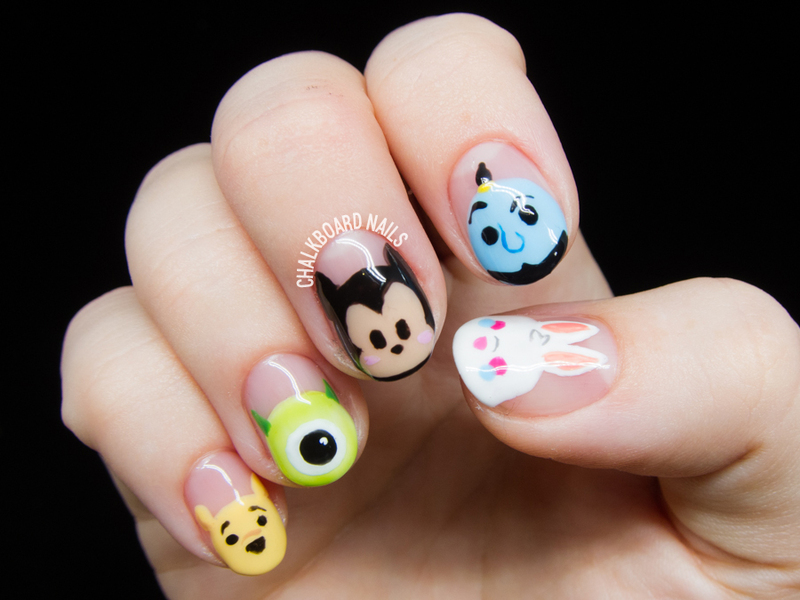 I chose Pooh, Mike Wazowski, Mickey, Genie, and the White Rabbit for my right hand. 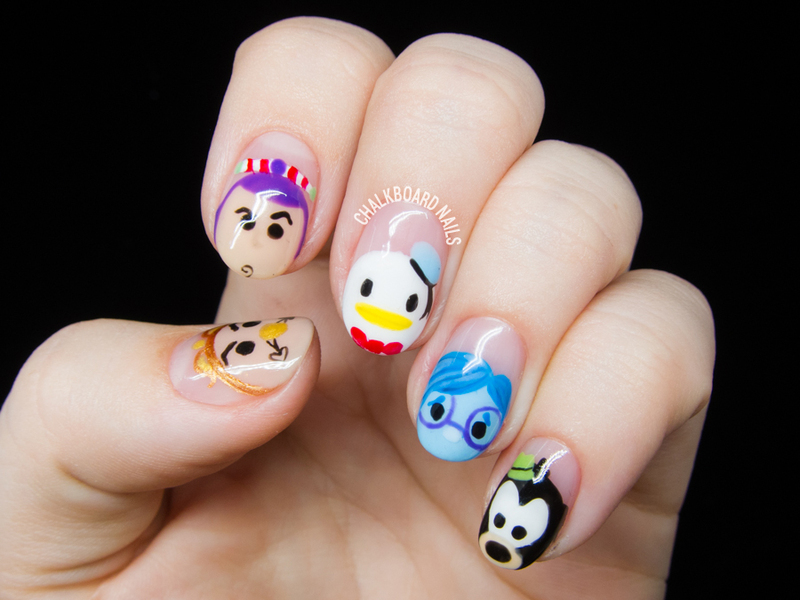 I made sure to put the easier characters on my right hand, since I was going to be doing the nail art with my left! I think my strategy worked out pretty well. 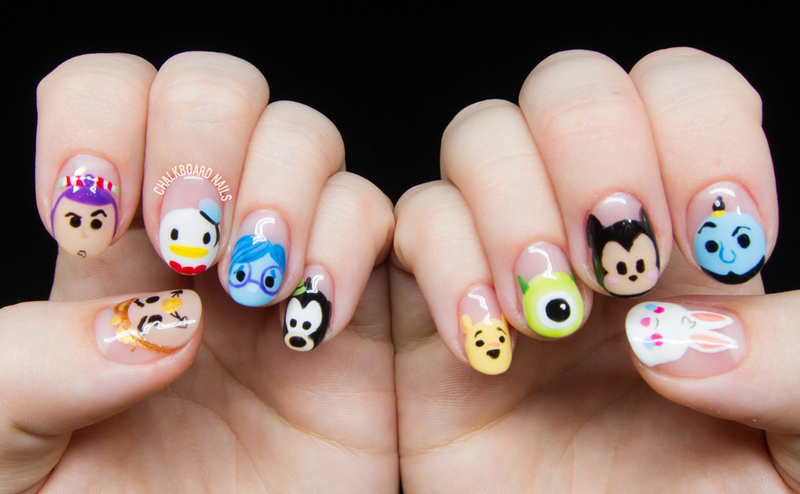 I did this set of nails in gel, which was helpful in that I could adjust things as necessary before curing the nail. Otherwise, my poor left hand would never have stood a chance! It needs all the assistance it can get. Most of the detailing was done with Akzentz GelPlay gel paints. I truly use them all the time, for everything. 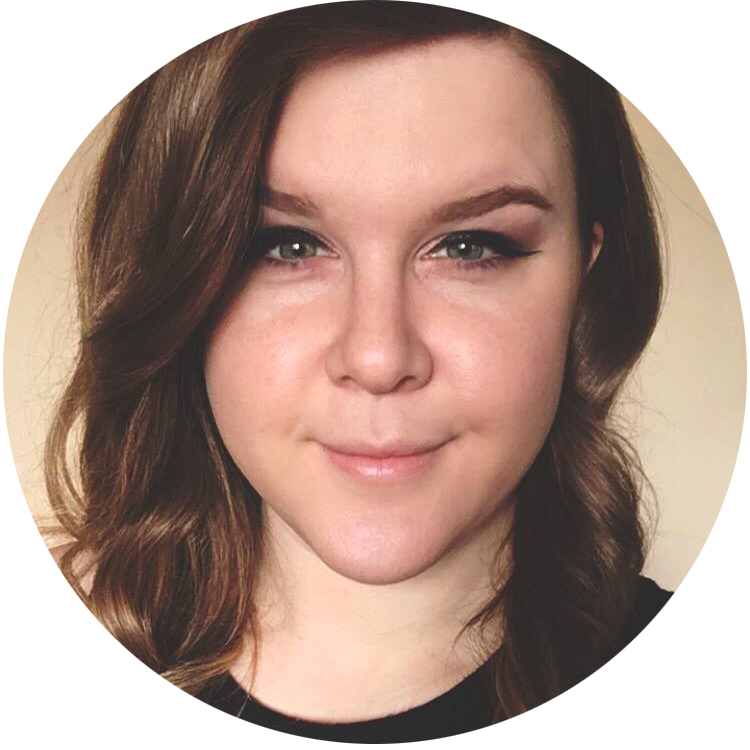 If you do any gel art at all, I highly recommend investing in them (or at least a different brand of gel paints!). Our trip to Disney was amazing. It was really neat to go on Tower of Terror one last time before they change it to the new Guardians of the Galaxy ride! And would you believe that this was the first time I had seen the fireworks show? What an amazing production!